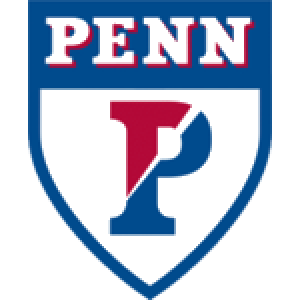 University of Pennsylvania womens soccer head coach Nicole Van Dyke has announced the addition of Lizzy Johnson to the coaching staff. Johnson joins fellow assistant coaches Melissa Phillips and John Ward for the upcoming 2017 season. Lizzy is an exceptional coach who I have had the pleasure of working alongside prior to her arrival to Penn, Van Dyke remarked. As a coach, I was always impressed with her professionalism, knowledge of the game and her emphasis on developing youth players. She will be a wonderful addition to the program and staff, and I am looking forward to her joining our Penn Womens Soccer family. Johnson comes to University City after spending the last six years coaching youth soccer in Northern California. She most recently served as the San Bruno Lowen Soccer Club U16 Girls head coach in San Bruno, leading the team to a second-place finish in the NorCal State Premier division in the fall of 2016 earning the team a promotion to the NorCal State Championship division for spring 2017. 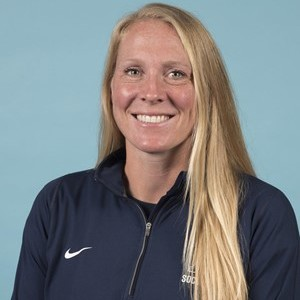 Prior to her time in San Bruno, Johnson was the Girls Director of Coaching for the San Mateo County Football Club in addition to head coaching duties of the U17, U16 and U14 Girls National Premier League teams during the 2015 and 2016 seasons. As head coach of all three SMC clubs, each team was promoted to the next level of the National Premier League after just one season and oversaw two of her players lead all NPL divisions in goals scored in the fall of 2015. She got her start in coaching in Tallahassee, Fla. as the Tallahassee United Football Club 94/95 Girls head coach, as well as working with Warner Soccer as a player development coach from 2007-10. While in the Sunshine State, she served as a coach with Florida ODP where she scouted, evaluated and selected players for Florida state ODP teams. Johnson was also the assistant coach at the 2009 Region III Camp. Johnson brings a wealth of collegiate soccer knowledge to Penn, having been a four-year letter winner at Vanderbilt University. Following her sophomore season for the Commodores, Johnson changed positions from midfield to forward and produced on the front line immediately scoring in each of her first three starts. Johnson made 14 starts and played in 32 of 33 games over her final two season in Music City. She was twice named to the SEC Scholar-Athlete Honor Roll (2000, 2001). Johnson earned a Bachelors of Engineering with a minor in mathematics from Vanderbilt in 2003. She earned her United States Soccer Federation (USSF) A License in 2014, as well a NSCAA Regional Goalkeeping Diploma.